Most Blackie mangoes are small and green, however some do ripen with a kiss of yellow, therefore I am not sure why it’s called Blackie mango. They are not as sweet and juicy as Stringy mangoes, but have a slight advantage over it’s counterpart…they have little or no fiber. Blackie mangoes do vary in size and some are small enough to fit in my mouth. 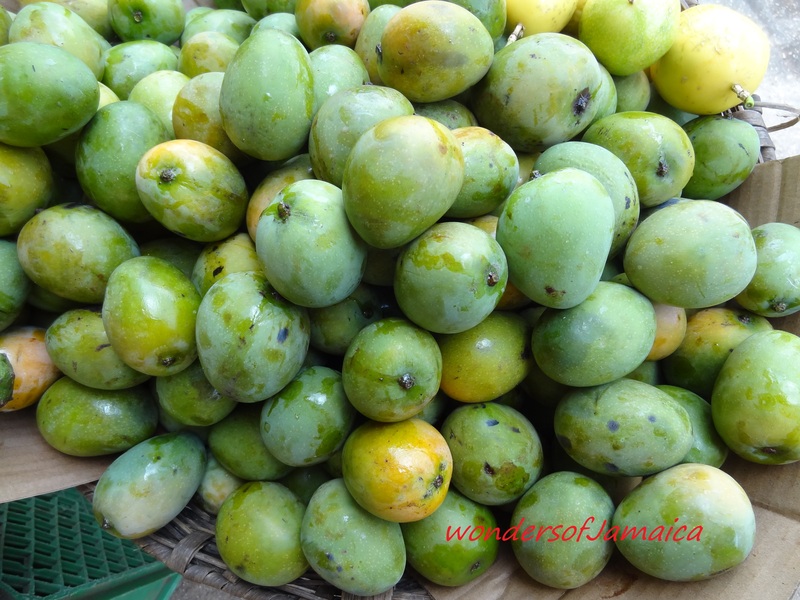 This entry was posted in Jamaica, Jamaican Fruits, Mangoes, Photos and tagged Agriculture, Blackie, Fruit, Fruit and Vegetable, Jamaica Fruits, mango, photography. Bookmark the permalink.